DeSota Park, not to be confused with the “DeSoto” that is widely used in other parts of Florida, is a Sarasota neighborhood that combines elegance with architectural history and quality residential lifestyle. Located west of the main Tamiami Trail traffic artery, the DeSota Park subdivision is nestled inside the “flower streets” district close to Downtown Sarasota. DeSota Park is a neighborhood that emerged during one of the many housing booms in Southwest Florida during the 20th century. 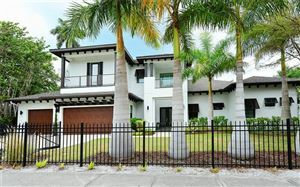 The elegant homes erected prior to World War II were a mix of Mediterranean and Spanish Mission styles, a mixture of the residential design trends of St. Augustine and Palm Beach at the time. Veterans returning from the war favored the Florida ranch-style homes, but the most recent housing bonanza of the early 21st century brought about an interest in reviving the original and eclectic architecture. As a result of these transitions, DeSota Park is now an ideal neighborhood for residential architecture buffs. Listings and floor plans at DeSota Park tend to vary considerably in terms of style, size and pricing. A cozy Spanish-style bungalow with two bedrooms measuring 768 square feet can be acquired for $175,000, while a remodeled four-bedroom mansion built on 4,106 square feet can be negotiated for $1,349,000. Most homes have been carefully maintained and meticulously remodeled. Young professionals and families will feel right at home in this elegant neighborhood where suburban comforts, convenience and entertainment are right around the corner. The world-famous Siesta Key beaches are just a short drive away, and the arts and culture district of Sarasota is even closer. Young residents are very close to Southside Elementary, Brookside Middle and Sarasota High Schools. With easy access to the Tamiami Trail and I-75, DeSota Park neighbors can easily get around the Sunshine State. 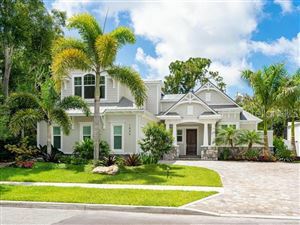 See all Desota Park Sarasota Florida Homes for Sale.